The following is a guest post from Sean Ryan and Perry Woodin, the Founders of NODE40. NODE40 Balance is a robust cryptocurrency reporting software that integrates directly with major cryptocurrency exchanges. Members of the blockchain community transacting in, trading, or mining digital currency, have likely triggered a taxable event and can be unaware of how to properly disclose these transactions to the government. Cryptocurrencies aren’t new (it’s been a little over a decade since Bitcoin’s creation), but regulatory insight into their classification hasn’t been addressed by the IRS since 2014 with a number of nuances have left many investors avoiding declaring their crypto holdings at all. 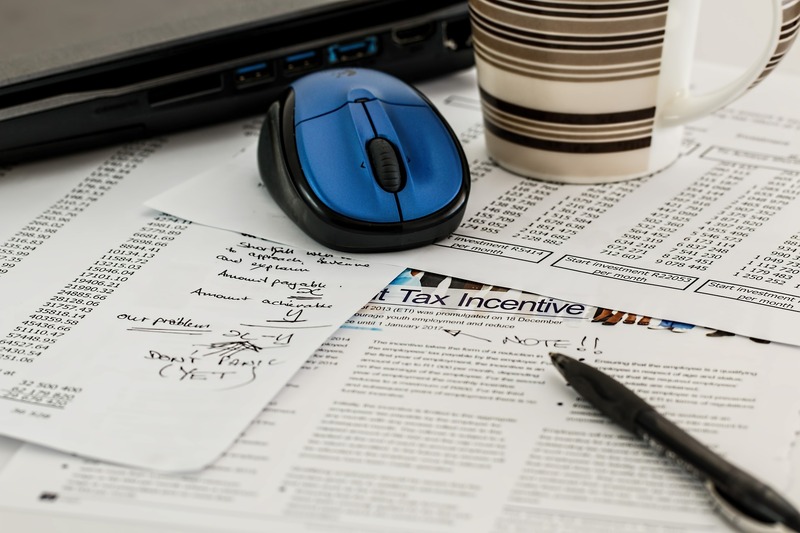 However as the market falls, the opportunity to offset losses against tax liabilities looks very appealing for many investors getting ready for their April submission, and possibly submitting their crypto taxation liabilities for the first time. Obviously, investors want to stay on the right side of the law while paying only what is strictly necessary. In order to do so, it would perhaps be wise to examine the information made available by the IRS. Intangible assets differ significantly from what’s traditionally thought of as property. For tax purposes, however, they’re treated as such by the IRS – as with capital assets. If one were to buy bitcoin at $10k and proceed to later sell it at $20k, there would be a taxable capital gain of $10k. This gain is realized upon disposal of the asset – whether traded, sold or used to make a payment. In the case of receiving payments, market value of the cryptocurrency on the date of reception must be factored into gross income unless both parties agree to (and report) a set value. Important to clarify is that a trade for another cryptocurrency (e.g. bitcoin to ether) is no longer a ‘like-kind exchange’: under IRC Section 1031, traders had previously interpreted this as an exemption to realizing gains when trading, as the two assets are similar. This interpretation (which was contested at the time) has since been closed, with revised regulation taking effect at the beginning of 2018. Today, Section 1031 applies only to real property. This should serve to highlight the importance of keeping meticulous records pertaining to every trade made – crypto-oriented accounting software can be used to pull data from various exchange platforms, and even calculate dues. The current tax framework may not seem overly complicated on the surface: it’s when the nuances of the technology underpinning cryptocurrencies come into play that confusion can arise. Let us consider, for instance, the hard fork phenomenon, where the network is effectively split into two and holders of coins on the original chain now find themselves in possession of a corresponding amount of coins on the new one. Given the open-source nature of systems like Bitcoin, it’s trivial for anyone to clone the codebase and launch their own bitcoin-like cryptocurrency, but incredibly frustrating for bitcoin holders that unwittingly end up with new coins and are unsure on how to proceed on the tax front. Due to lack of guidance, opinions on how to treat these coins varies wildly: advisors and accountants are divided on whether to assume taxable gains based on value on the date of the fork, or to wait until the coins are disposed of (calculating taxes with a cost basis of $0). We’re inclined to side with the latter, purely on the principle that individuals shouldn’t be taxed on value they have no intention of realizing, particularly if they didn’t explicitly opt-in to receiving it in the first place. It follows that an airdrop, where small amounts of cryptocurrency are sent to a wide range of addresses (generally for promotional purposes), should be treated the same. Again, however, tax authorities have not considered these points, so the most prudent approach would be for taxpayers to be as transparent as possible on their transactions when reporting. Some wonder whether cryptocurrencies held in exchanges established abroad come under the purview of the U.S. tax authorities. In short: yes. Some may be tempted to close down such accounts in order to shirk tax liabilities, but this is ill-advised, as the IRS has the means to track foreign investments, including sophisticated software for file analysis, and the power to subpoena exchanges for user information (look to the recent example of Coinbase). Evidence of attempts to obfuscate activities may open individuals up to penalties or criminal charges. Generally speaking, an FBAR (Report of Foreign Bank and Financial Accounts) must be filed if a foreign account held $10,000 or above at any time. If, on the last day of the year, this figure is in excess of $50,000, then Form 8938 (Statement of Specified Foreign Financial Assets) may need to be submitted. It would be irrational not to take advantage of the steady downtrend in the cryptocurrency markets to offset other gains. If a Bitcoin was purchased at the end of 2017 and held until now, it would have lost approximately 80 percent of its value – a recent Credit Karma report highlighted that investors having sold their bitcoin in 2018 incurred a collective loss of approximately $1.7b (over half of those participating in the survey did not realize they could leverage their losses). By selling at a loss, other liabilities can be mitigated – Form 8949 (Sales and Dispositions of other Capital Assets) should be filled out to benefit from this. Some question the claim that individual crypto assets would be examined in an audit, but in the interests of transparency, it’s best to use the most appropriate FIFO/LIFO method to maximize effectiveness. With the new tax law in effect, taxpayers can claim up to $3,000 per year indefinitely until the loss is exhausted if there are no gains to offset it. In the absence of a concise framework for ascertaining tax liabilities, we must resort to reading between the lines. Paramount is keeping records of the lifecycle of every crypto asset held – wallet-to-wallet transfers, exchange-to-exchange transfers, trades, etc., in order to emulate the current treatment of property. It’s highly advisable that investors seek out modern solutions to do the heavy lifting. Crypto-specific tax software exists today, and is the only foolproof method to keep up-to-date records and calculate gains, losses and income that can later be verified by auditors.